GlaxoSmithKline Consumer has a knack of springing surprises. It posted a healthy volume growth of about nine per cent in the December 2012 quarter when most other packaged foods companies struggled thanks to lower discretionary spends by consumers. Nestle, for instance, posted a volume growth of just about five per cent in the three months ended December. 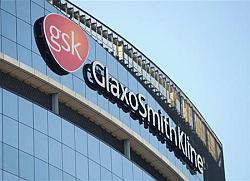 GSK itself struggled in the June and September 2012 quarters with volume growth between five and seven per cent. However, the London-headquartered company, which recently upped its stake to 75 per cent in the Indian unit by investing nearly Rs 5,000 crore (Rs 50 billion) in an open offer, has quietly scripted a turnaround indicating that it has no plans to go slow in key emerging markets. This includes focusing its attention on niche oral care and extending Horlicks, which gives the Rs 3,079-crore (Rs 30.79-billion) company nearly half its revenues, into areas that are in line with the platform of nutrition on which the brand is positioned. Zubair Ahmed, managing director, GSK Consumer says, “We have no plans to play in mass segments in categories such as oral healthcare. "It will be niche areas that we will target, where there is scope for market development and growth. We will also not play in indulgent categories. "For instance, in Horlicks, we did creams and cookies as part of the extension of the brand into biscuits. "We have phased that out and now have a portfolio of nutritious biscuits under Horlicks. This way, say analysts, GSK has attempted to steer clear of competitive categories that entail huge investments and ensure no returns. In sensitivity, for instance, GSK’s Sensodyne is marginally below Colgate's variant with a share of 24 per cent. Colgate’s share, according to industry sources, is almost 25 per cent in the Rs 570-crore (Rs 5.7-billion) sensitivity market. The latter constitutes 9.5 per cent of the Rs 6,000-crore (Rs 60-billion) overall toothpaste market in India. At the same time, the company has also aggressively pushed distribution especially in the north and the west of the country. “In terms of retail outlets, our products are available in under a million stores at the moment. By 2016, we hope to touch about 1.5 million outlets in terms of reach,” says Ahmed. Rural is another area where the company has its eyes set. From 10,000 villages now, the plan is to take reach to 50,000 villages by 2016. “We have achieved what we set out to do as part of Vision 2X (plan then was to take up turnover from Rs 1,500 crore (Rs 15 billion) to Rs 3,000 crore (Rs 30 billion) in four years, that is, between 2007 and 2011). Besides the potential that India presents, there are a few other reasons why the country occupies a significant position in the British major’s scheme of things. It already is the third-largest market for the pharma giant’s global consumer business after the US and UK. Company executives admit that the Indian consumer is slowly but steadily beginning to open up to the kind of products that GSK has to offer. Nowhere is this more visible than in oral healthcare, where the company has attempted to trade up consumers with products such as Sensodyne and Parodontax, the latter being its latest foray into the specialised gum care category. Most are expecting GSK to step into the mouthwash category as well in the near term in a bid to expand its portfolio. GSK is also expected to beef up its wellness portfolio, which has over-the-counter brands such as Crocin, Iodex and Eno, in an attempt to reach more consumers. Ahmed declines to get into specifics about the company’s wellness gameplan. But analysts say that wellness like oral healthcare will gain importance as GSK moves away from being a one-brand company. At the time of making the announcement to increase its stake in the Indian subsidiary last year, David Redfern, chief strategy officer, GSK Plc, had said, “The decision to increase our stake in the latter was taken a month ago (in October) when GSK’s board came down to Delhi and looked at the potential of the Indian market. "The board decided that this was the right time to invest further into India.” For the year ending December 2012, GSK's topline grew 15 per cent and expectation is that the company is likely to maintain its mid-to-high teen growth levels over the next few years. Abneesh Roy, associate director, research, Edelweiss, says, “GSK’s health and wellness positioning should help it in a market like India. GSK’s stock price on the Bombay Stock Exchange has been on a roll in the last three months, moving up almost 14 per cent, thanks in part to the open offer, which closed last month. But investor interest in the stock goes beyond that episode. In the last six months, GSK’s stock price has risen 40 per cent and in the last one year by 68 per cent.